Home > News & Insights > Laborde: Gide's new headquarters awarded in the Best Office & Business Development category! Laborde: Gide's new headquarters awarded in the Best Office & Business Development category! 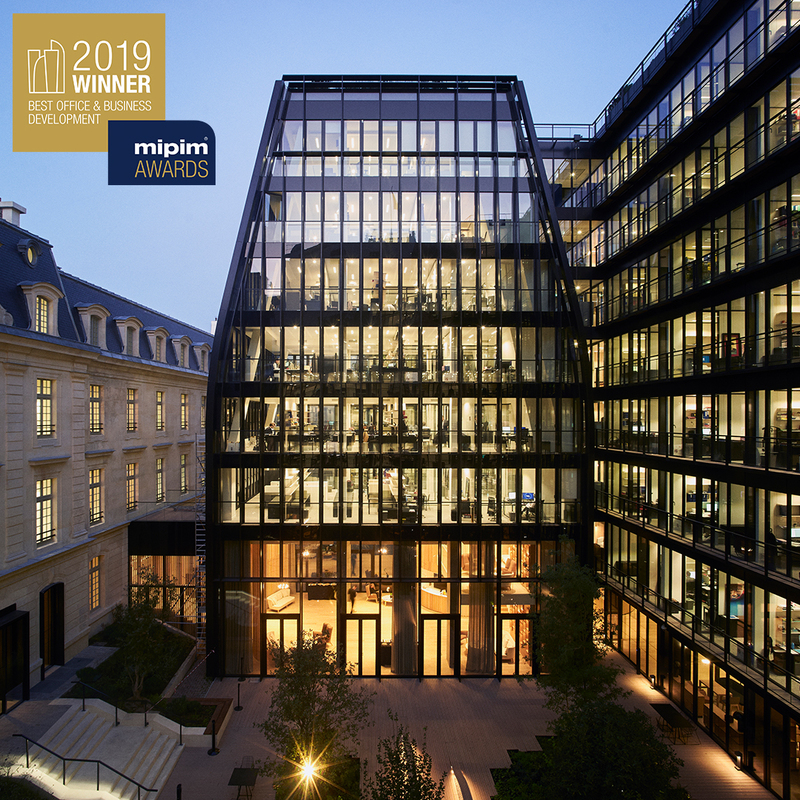 Gide is very pleased to announce that its new headquarters, located 15 rue de Laborde in Paris 8th, designed by PCA-STREAM | Philippe Chiambaretta Architecte, have received the Best Office & Business Development award at the MIPIM Awards 2019, held on Thursday 14 March 2019 at the Cannes Palais des Festivals. Congratulations to PCA-STREAM and all the teams involved in this project! Created in 1991, the MIPIM Awards honour the most outstanding and accomplished real estate projects, completed or yet to be built, around the world. This year, 12 projects from the 45 selected were rewarded by the jury, led by Meka Brunel (CEO for France, Gecina). Gide moved into its new headquarters on 1 October 2018, in a complex that underwent one of the most significant real estate restructurings in inner Paris in recent history. The new premises include a first building, dating back to 1864, which is used to welcome clients. A former eight-floor French Navy site built in 1948, with a contemporary architecture, is the second building, which houses all lawyers and employees. The link between tradition and modernity is important to the firm, and a new glass and metal building was therefore erected between the two buildings to embody this link. Gide's new address is a clear expression of the firm's ambition to offer a high quality of reception to its clients, and new-gen workspaces that foster collective performance, creativity and well-being for all its teams. For Gide senior and managing partners Xavier de Kergommeaux and Stéphane Puel: "Over six months after moving into our new premises, this award is a wonderful piece of news that commends a real corporate project, imagined collectively and that is in line with our values of excellence innovation." Project architect Philippe Chiambaretta adds: "It is a sign of the times that Gide's new headquarters won this international award. Restructuring the Navy site is our way of taking part in the city's own reinvention. We decided to combine heritage with hyper contemporary architecture to offer a space open to new work methods, sharing, communication and creativity in unique natural surroundings". A total of 18,879 sq.m. Balconies, yards and other outside spaces covering 2,755 sq.m. Planted areas covering 1,022 sq.m.